I am an Assistant Professor of Electrical and Computer Engineering at the Drexel University. I hold a Ph.D in Embedded Systems from the National University of Singapore in 2014. 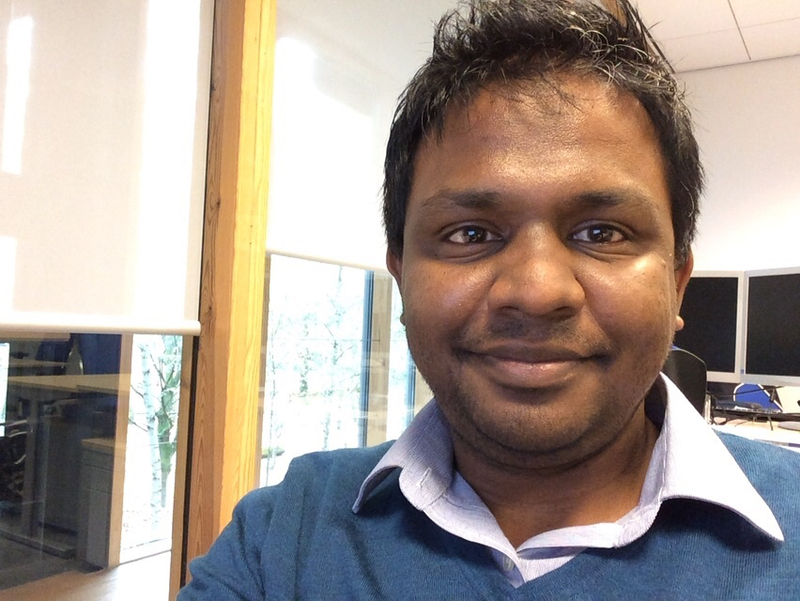 I have been a researcher in the Neuromorphic Computing Group of IMEC, Netherlands (2015 - 2017) and a post-doctoral fellow in the School of Electronics and Computer Science (ECS) at the University of Southampton, UK (2014 - 2015). Between 2004 and 2011, I have worked at LSI Corporation and STMicroelectronics, as senior IC design engineer. My research interests include design of algorithms for neuromorphic computing, particularly using spiking neural networks; dataflow-based design of neuromorphic computing system; design of scalable computing system; non-volatile memories; hardware-software co-design and management; thermal and power management of many-core embedded systems. DAC'18 "VRL-DRAM: Improving DRAM Performance via Variable Refresh Latency", Anup Das, Hasan Hassan and Onur Mutlu, ACM/IEEE Design Automation Conference, 2018. DATE'18 "Mapping of Local and Global Synapses on Spiking Neuromorphic Hardware", Anup Das, Yuefeng Wu, Khanh Huynh, Francesco Dell Anna, Francky Catthoor and Siebren Schaafsma, IEEE/ACM Conference on Design Automation and Test, 2018. NEUNET'18 "Unsupervised Heart-rate Estimation in Wearables With Liquid States and A Probabilistic Readout", Anup Das, Paruthi Pradhapan, Willemijn Groenendaal, Prathyusha Adiraju, Raj Rajan, Francky Catthoor, Siebren Schaafsma, Jeff Krichmar, Nikil Dutt, and Chris Van Hoof, Elsevier Neural Networks, 2018. ITEA3 PARTNER Patient-care Advancement with Responsive Technologies aNd Engagement togetheR. H2020 MNEMOSENE Computation-in-memory architecture based on resistive devices. H2020 NeuRAM3 Neural Computing Architectures in Advanced Monolithic 3D-VLSI Nano-technologies. STW EDL Efficient Deep Learning (Sub-project: Low power hardware for neural networks). EPSRC PRiME Power-efficient, Reliable, Many-core Embedded systems. EPSRC Graceful Continuous on-line adaptation in many-core systems: From graceful degradation to graceful amelioration.